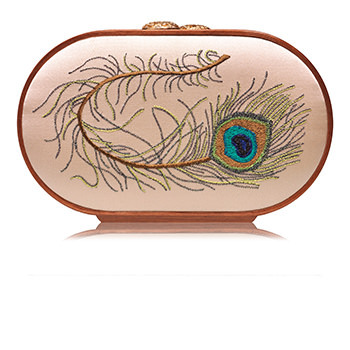 Oval clutch with a glossy, handcrafted, fine wooden frame. 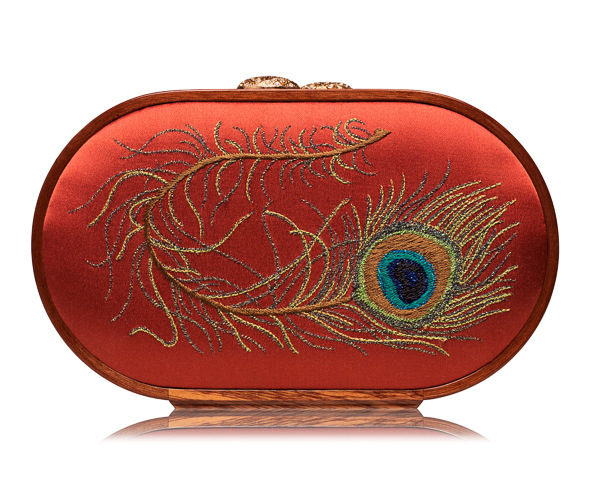 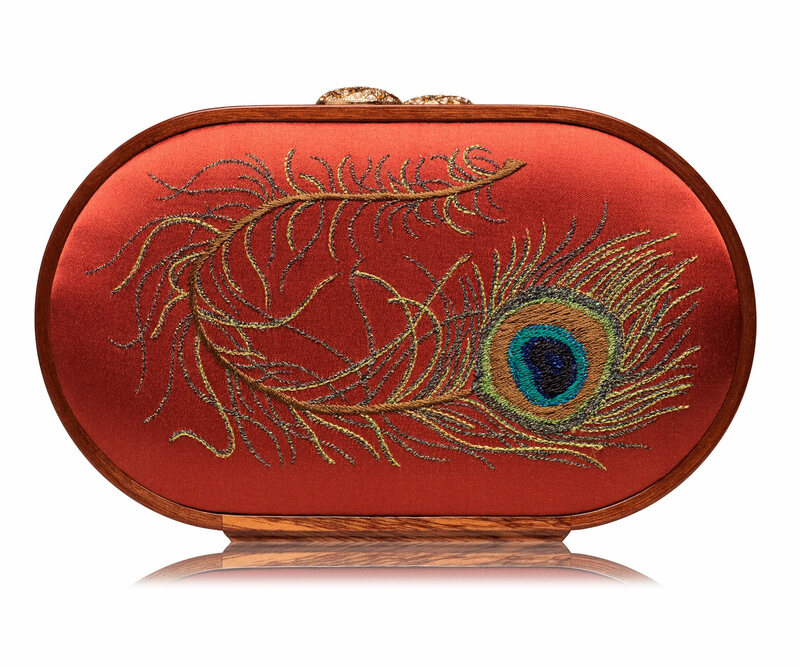 The front and back of the bag are covered with “Strawberry Red“ coloured silk, adorned with a precious embroidery inspired by a delicate peacock‘s feather motive with colourful yarns. 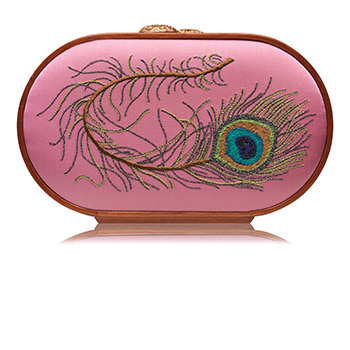 The Bag can be worn in the hand and over the shoulder.